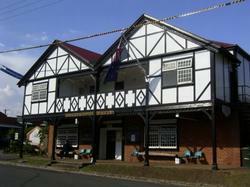 Stay in the quaint and histoic Jamberoo Pub and take advantage of these great package deals. In the middle of Jamberoo Village and just a short stroll to the course. 1 Nights Accomodation (Twin Share)– extra $15 for Friday or Saturday nights. Round of golf for 2 people. When you visit Jamberoo, you can stay at the Jamberoo Pub, a local watering hole and landmark for almost a hundred and fifty years. Alternatively you can enjoy the peace and comfort of the pubs new modern three star motel wing . Kiama Cove Motel is located in the heart of Kiama, overlooks Surf Beach with most rooms having ocean views, air-conditioning, king sized beds and all with complimentary continental breakfasts. Your accommodation is a short stroll away from the main street of Kiama where you’ll find unique shopping opportunities with an array of cafés and restaurants providing culinary delights. Accommodation located ideally in the heart of Kiama, within walking distance of harbour, beaches, shops, cafes train station. Pamper yourself in our modern 1, 2 and 3 bedroom, fully self contained apartments, wheelchair access and disabled facilities available. Terralong Terrace is ideally located in the heart of Kiama, a short stroll from the Boat Harbour, Blowhole, main beach, train station, cafes, shops and clubs. Sun, sand, surf – art, wines, history. The South Coast has it all. Planning a weekend away or holiday escape, then let South Coast Holidays arrange your accommodation. rainforest retreat, check out our website for a stress-free break. 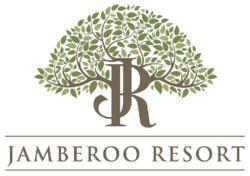 The Jamberoo Resort is nestled on ten acres of landscaped gardens in the lush Jamberoo Valley. This superb resort blends the peace the freshness of its natural environment with the standards of a modern resort. We have magnificent 1,2 and 3 bedroom spa cabins set in beautifully landscaped settings about 50 meters from beach, some with beach views. With its picturesque bay setting and excellent facilities, Kendalls on the Beach is the ultimate location for a family holiday, romantic weekend or for simply relaxing on an extended stay. Grand Mercure Kiama Blue overlooks beautiful Kiama Harbour and the Pacific Ocean. Ideal for a weekend getaway, the resort is located within a short walking distance to the famous Kiama Blowhole, historic terrace shops and the beach. Acommodation at Grand Mercure Kiama Blue ranges from Standard Rooms through to Deluxe Rooms and self-contained Apartments, all featuring ensuite bathrooms, mini bars and teaand coffee making facilities. Escape778 is a multi-award winning and picturesque self-contained holiday accommodation. 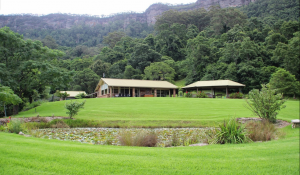 The property is a tastefully decorated privately built home that is spacious, set on 50 acres and nestled in the foothills of the Illawarra Escarpment with a private entrance. It is surrounded by rain forest with majestic views overlooking the Calderwood Valley through to the Pacific Ocean. A generous basket of breakfast provisions is provided for your enjoyment.